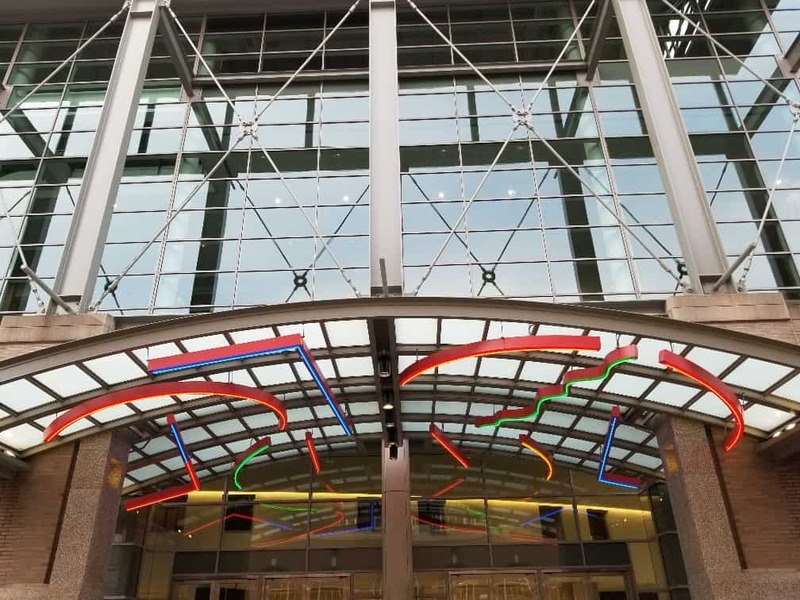 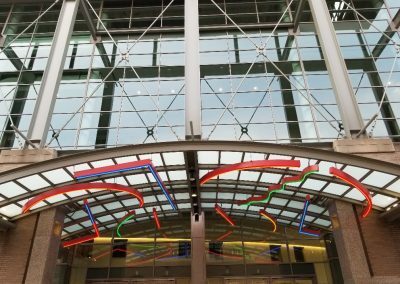 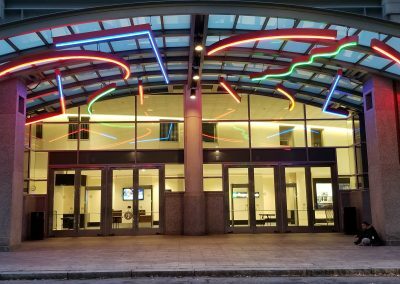 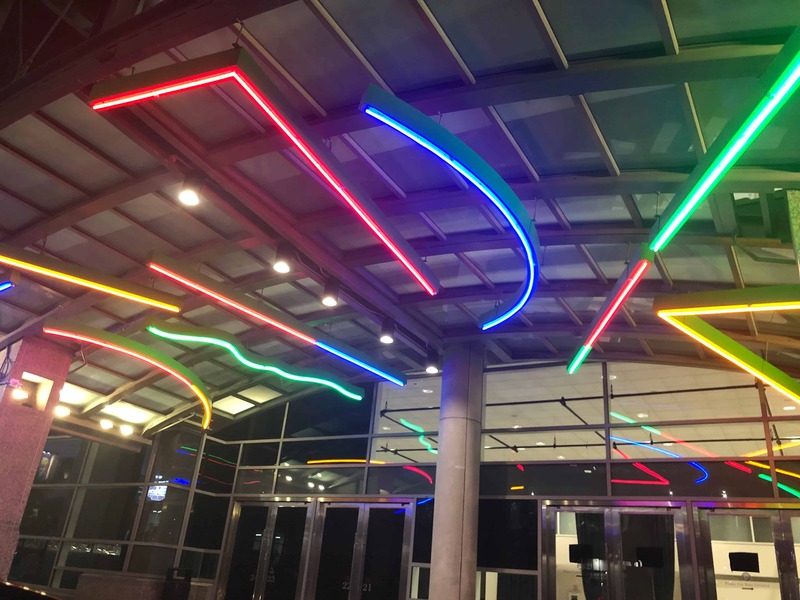 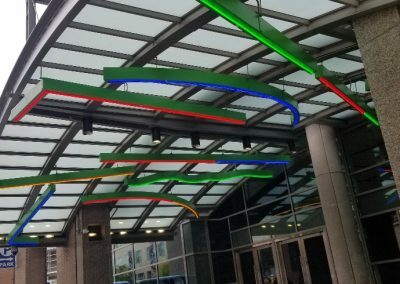 Poyant was contracted to replace the original neon for this convention center’s canopies with LED as part of an overall energy efficiency project being led by Energy Source. 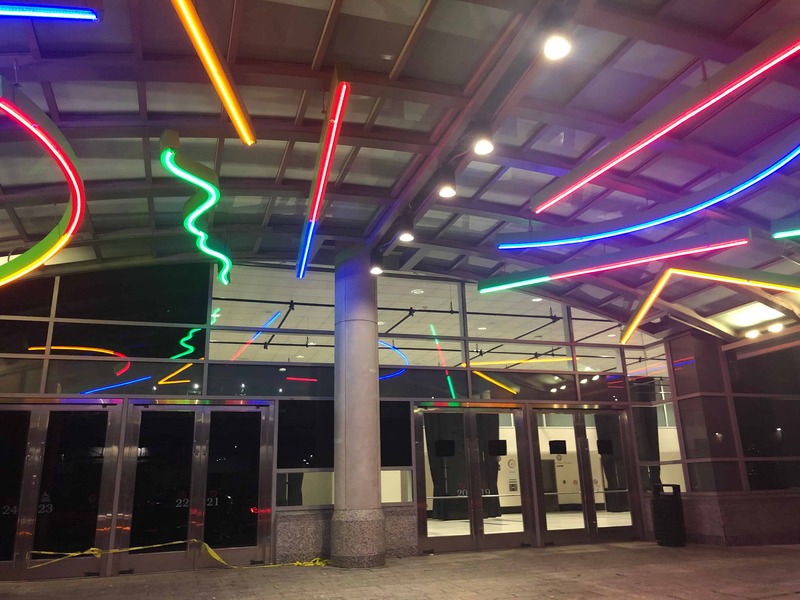 The Poyant Team was able to work together to form the GE Contour product to exactly replicate the original neon tubing, allowing the art work to be fully restored to its original design while also being 100% operational. Poyant as well as the client are very pleased with the outcome of the retrofit. 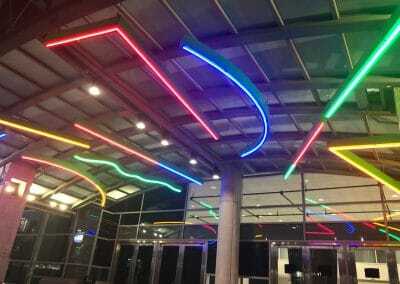 The new LED system results in vivid colors, brightness and the exact replication of the neon shapes.